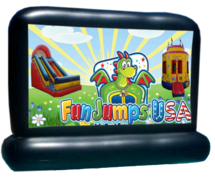 FunJumps®, your original FunJumps Company, provides more than just the basic Fun Jump. 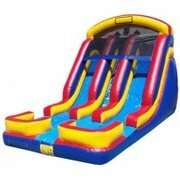 Our stores offer a huge inventory of Slides, Obstacle Courses, Interactive Games, 70ft Zip line, Mechanical Bull, Concessions, Tables & Chairs. 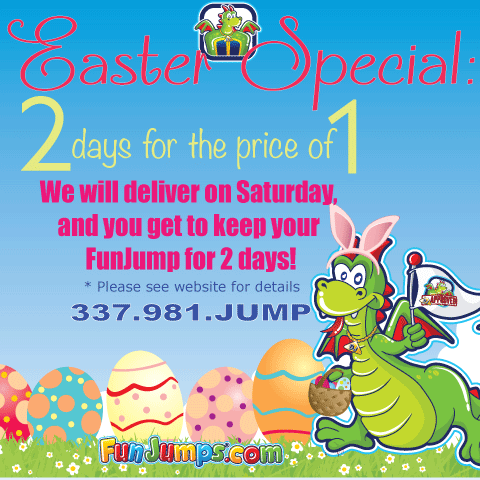 Of course, We have all the best Fun Jumps too! 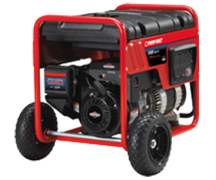 Browse all of our products below and please call if you have any questions at 981-JUMP. 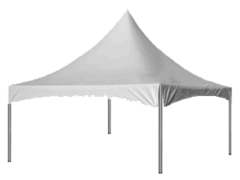 One of our party planning specialist will be available to help you make your dream event come true. 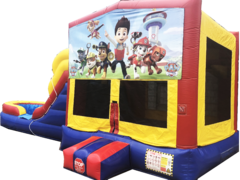 FunJumps, formerly known as Acadiana FunJumps, is your original FunJumps rental company in Louisiana! 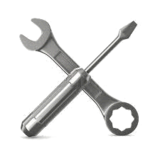 Our headquarters are located in the great community of Lafayette, Louisiana. 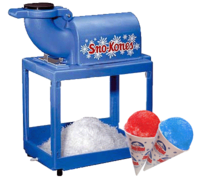 Our family owned and operated business has proudly served all of Acadiana and the surrounding areas since 1985. 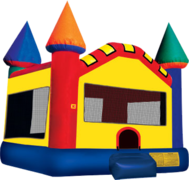 All over the world FunJumps are known by many names... inflatables, bounce houses, moonwalks, jumpers, bouncers or even kids party inflatable thingys! 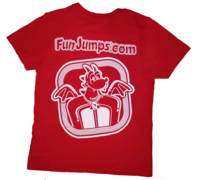 We simply call them FunJumps. 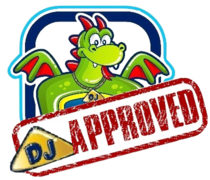 In fact, we even coined and trademarked the name! 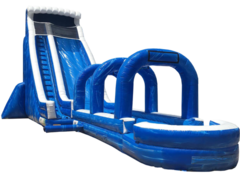 We have the best selection of FunJumps, Slides, Combo units, Obstacle Courses, Water Slides, Interactive Games, Tables, Chairs and Concessions in Louisiana! 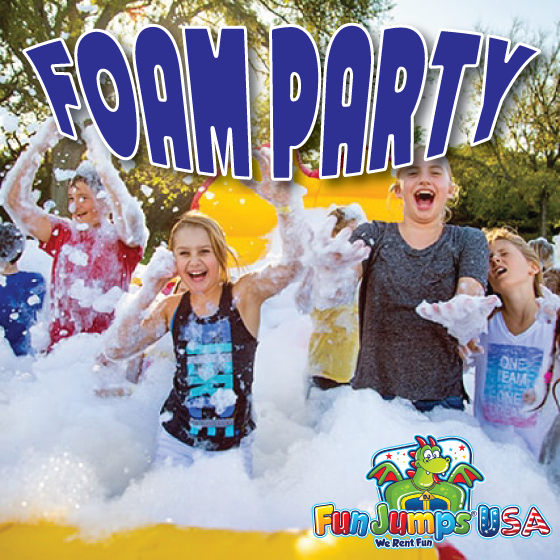 We offer something for everyone from toddlers to adults. 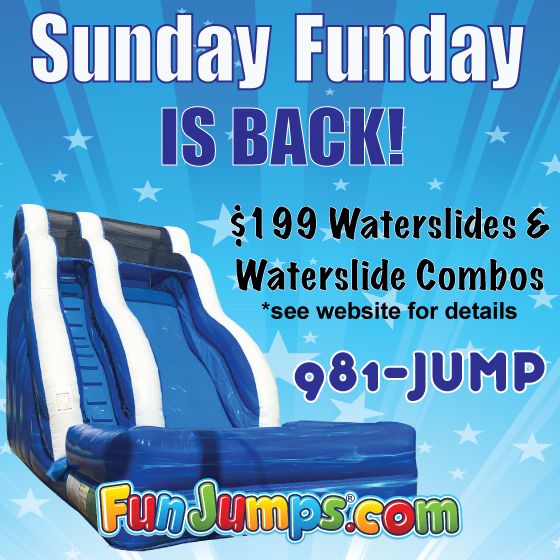 FunJumps are great for family get-togethers, birthdays, graduations, holiday parties or just a weekend treat! 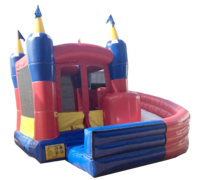 So, when you need a fun party rental, just give us a call at (337) 981-JUMP or reserve your rental on-line 24 hours a day. 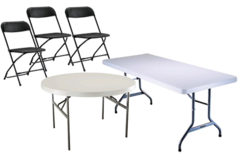 You can trust that you will be getting a top-of-the-line unit, cleaned and sanitized before each rental. 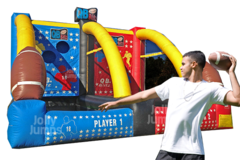 Let our 34 years of party planning experience make your next event unforgettable!